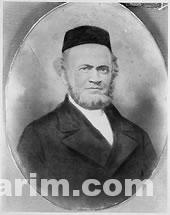 Rav Rice was the fist known ordained Rav to serve as Moreh Dasrah of a congregation in this country. 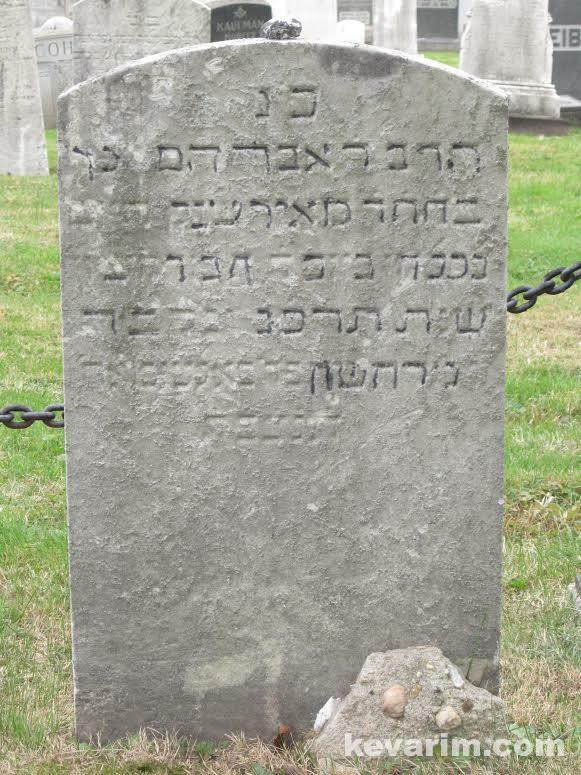 Rav Rice was a talmid (student) of Rav Avroham Bing the Chief Rabbi of Wurzburg and subsequently of Rav Wolf Hamburger of Fuerth. 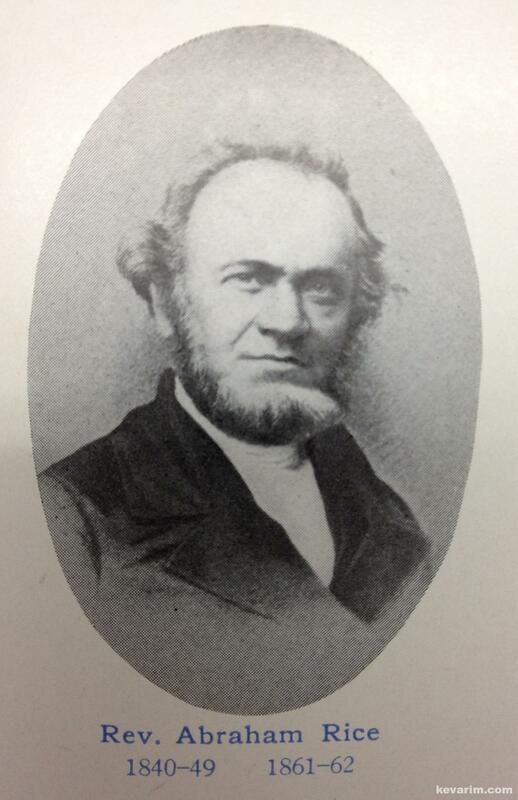 As the first ordained Rav in the United States, Rav Rice decided the halachic Hebrew spelling for many of the cities across the country. 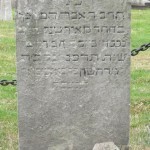 Do you know where Rav Bing in buried? Probably in Germany, I know one of his descendants, I will ask him. It?s not 100%, but he thinks in the Jewish Cemetery in Heidingsfeld (near Wurzberg), Germany. 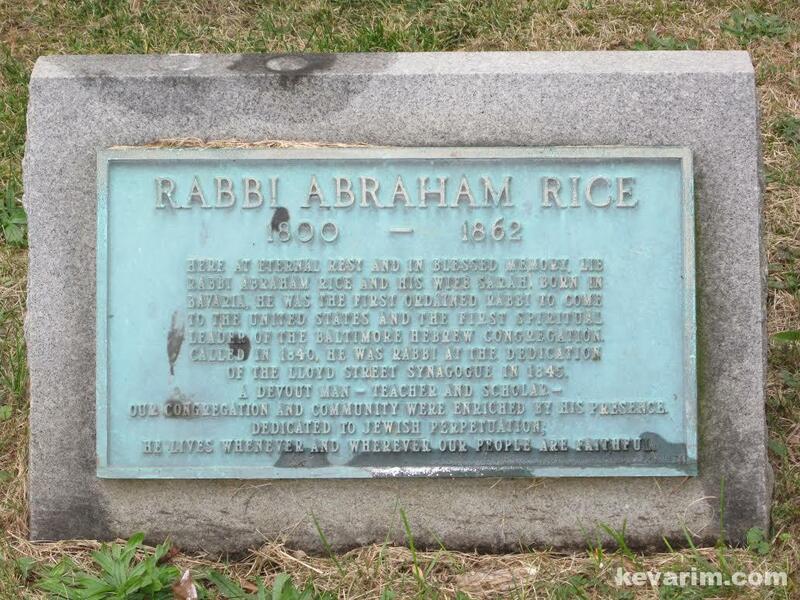 Iam one of the descendants of rabbi rice. 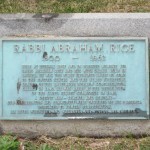 It was very nice to see that the rabbi rice is remembered as a holy and big rabbi. We went there this week. Your picture helped me find the kever. Here is additional info. After passing through the cemetery entrance, turn left and go to first bend in road. Park there and walk on narrow sidewalk to get closer to the grave. The box on feet on the right side of the picture has sliding doors and is for candles. There were quite a few used tea light holders in it. We should get a clearer picture of the Kever, S. Rice, perhaps you got one. I was there on his yarzeit a couple weeks ago. The environment has almost completely worn away the wording on his actual matzeivo. 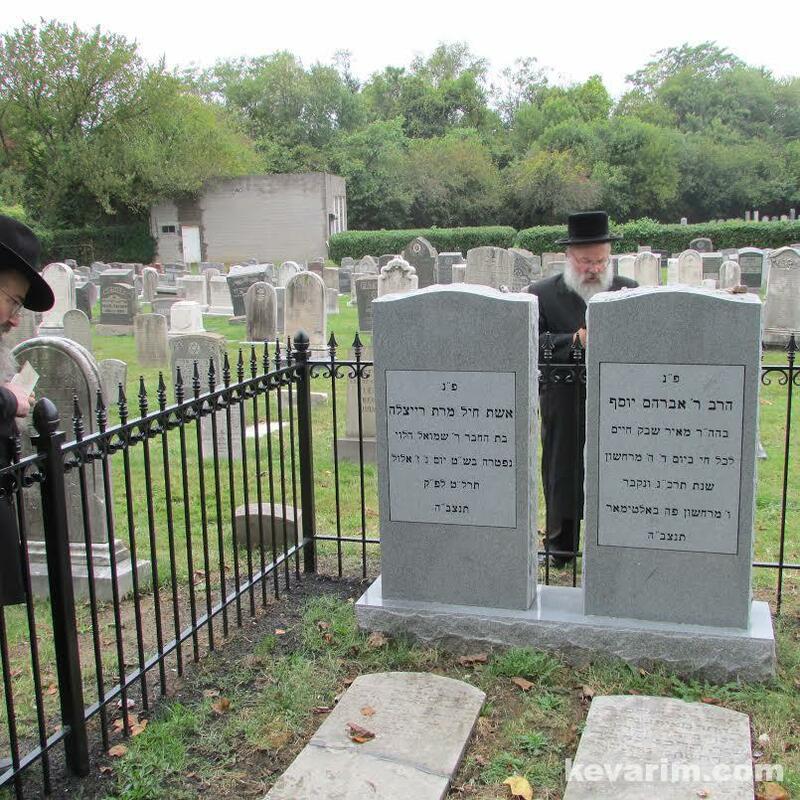 There are 2 matzeivos, one I assume is his wifes, its impossible to tell which is whick, though I think i can see the name avrohom on the left one. there is a bronze plaque to the left that speaks in english of his life as a historical figure. 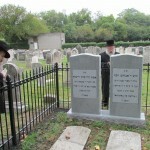 I took many pictures of the actual matzeifo and the general grave site. if needed I can submit them. 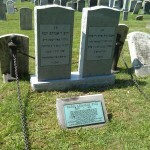 His matzeva is on the right, his rebbetzin is on the left. Someone painted the text of his matzeivo. Can anyone be of help in giving me R’ Shraga Rice (aka Phil) contacts. As a child he learned with me at Shaerith Israel in Baltimore- a shule with direct connections to the shule in Rabbi Rice’s home in 1849. I also highly doubt his father’s name was שבק חיים it is most likely just מאיר and שבק חיים לכל חי refers to the date the rabbi passed away. 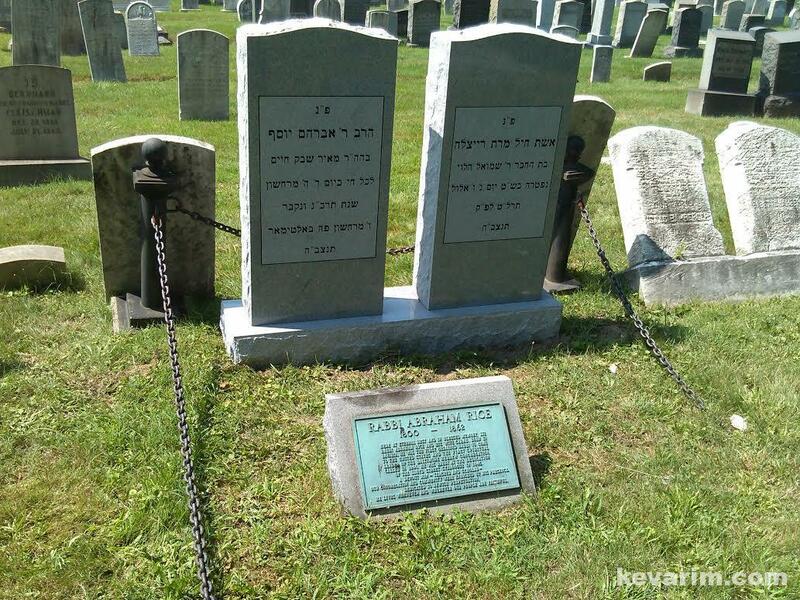 It seems the headstones where switched, one picture has the rabbi on the right the other has the rabbi on the left.